The Nifty broke a 6 months up-streak as it fell about 2% in the month of September, taking returns for the year down to 8.4%. This is still decent for the first nine months of the year. As you can see: October is usually the most lousy month of the year on average, but with a very large standard deviation. 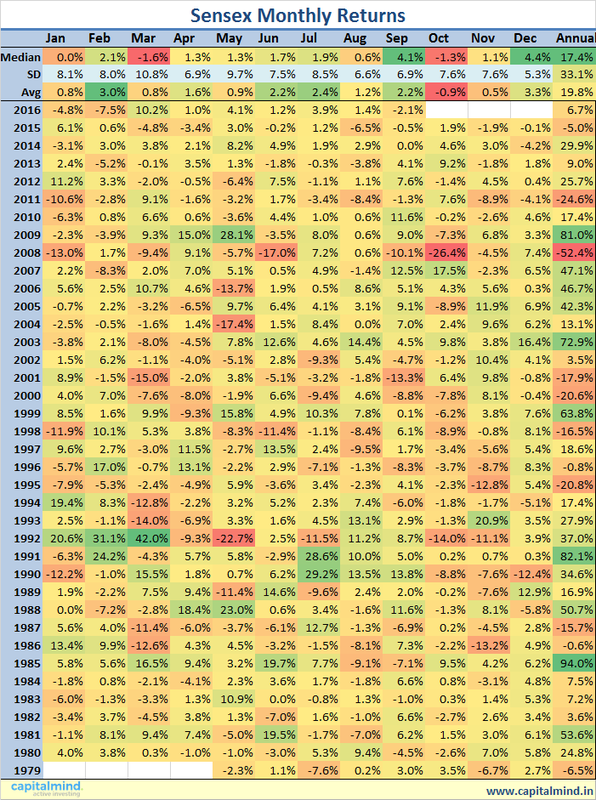 Some of the worst ever returns have happened in October, but we have seen three earlier Octobers (2013 to 2015) that have had only positive returns. Will this next month change things? Systematic Investment Plans – investing a fixed amount each month – generally gives you great returns over the longer term. 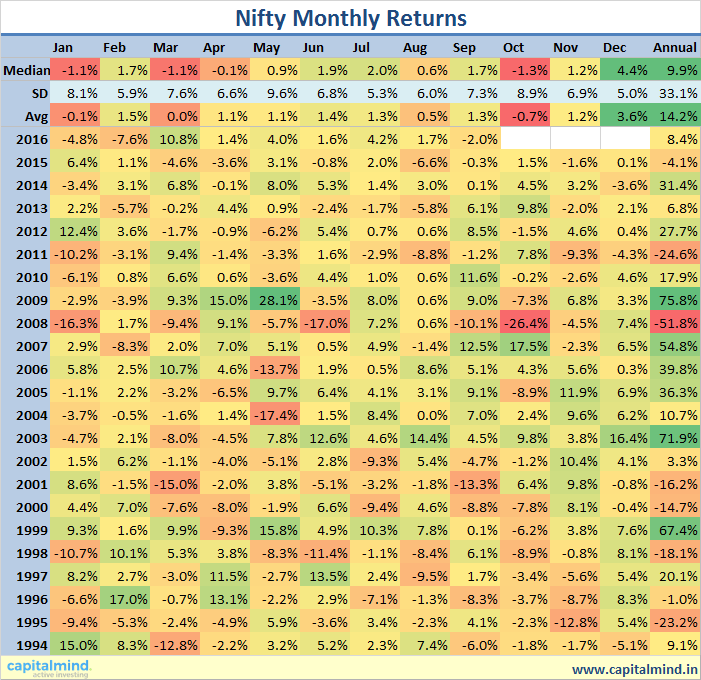 But it seems that Sensex returns – if you had invested every single month over 10 years – would have only given you a 8.1% return now. This is among the lowest 10 year return numbers we have ever seen. Note that you can add about 1.5% to 2% of dividends each year so the return, post dividends, is still okay. Also because India is a different market, mutual funds have outperformed. SIP returns there too will be higher (of the order of 12% to 15%). What this doesn’t reveal yet is that 2007 was a massive upmove. 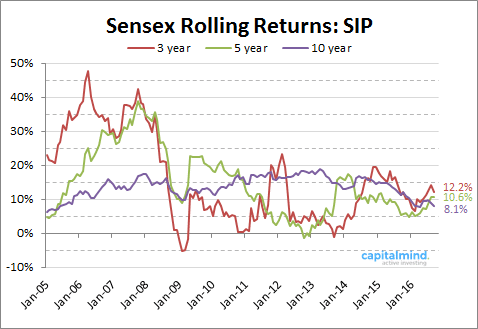 If the Nifty or Sensex doesn’t move up substantially from here very soon, the 10 year SIP returns are going to fall to 7% and that won’t look good. (Advisor best practice: Please move to saying that 15 years is long term, 10 years passes just like that).